Escalating trade tensions are posing an increasing threat to the global economy, the head of the International Monetary Fund has warned. "The clouds on the horizon ... are getting darker by the day," IMF Managing Director Christine Lagarde said at a news conference in Berlin on Monday. "The biggest and darkest cloud that we see is the deterioration in confidence that is prompted by [the] attempt to challenge the way in which trade has been conducted, in which relationships have been handled and the way in which multilateral organizations have been operating" she said. Her comments follow the acrimonious end to the G7 summit in Quebec this weekend in which President Donald Trump attacked Canadian Prime Minister Justin Trudeau over trade. Tensions were already rising between the United States and key allies ahead of the G7 summit after the Trump administration slapped steel and aluminum tariffs on Canada, Mexico and the European Union in the name of national security. All three trading partners have announced retaliatory measures. The United States is also locked in a tense trade dispute with China, the world's second largest economy. The Trump administration is expected to announce by the end of this week a list of Chinese goods worth around $50 billion on which it will impose steep new tariffs in response to alleged Chinese theft of American intellectual property. The tariffs will go into effect shortly afterward, it said. 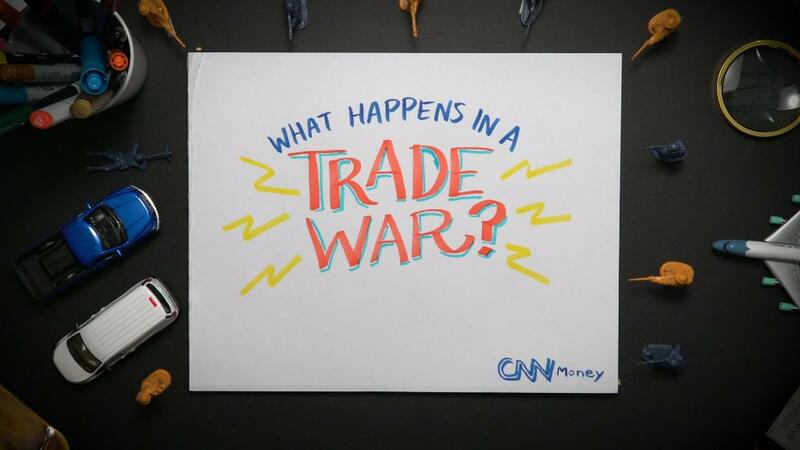 The move has thrown into doubt the outcome of trade talks with China, which previously threatened to retaliate with tariffs on a similar amount of US goods, including cars, planes and soybeans. Speaking alongside Lagarde at the news conference Monday, World Trade Organization Director-General Roberto Azevêdo said the rising tensions in global trade "risk a major economic impact, undermining the strongest sustainable period of trade growth since the financial crisis."